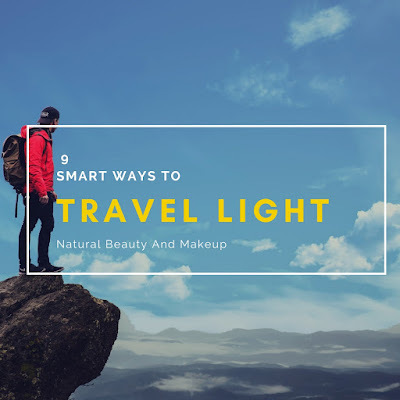 ‘Natural Beauty And Makeup' is a space, where we can share our views or thoughts about beauty, travel and lifestyle 💕👤 It's a Beauty, Travel & Lifestyle Blog which is purely dedicated to helping readers with honest, authentic reviews and posts 😊. ‘Natural Beauty And Makeup’ is my personal blog. Information on the Website is for general information purposes only and is not intended to provide legal, financial, medical, or any other type of professional advice. Please seek professional assistance should you require it. You may not modify, print or copy any part of the Website. All images on this blog have been taken by the blog owner (unless stated otherwise) and are protected by copyright law. Kindly refrain from copying or reproducing any image or content from this blog. In case, you wish to use, kindly send an email to me. You may not post a comment that is defamatory, fraudulent, obscene, threatening, invasive of another person's privacy rights or that is otherwise unlawful. By submitting or posting Content on the Website, you grant the blog owner the right to edit and, if necessary, remove any Content at any time and for any reason. Email addresses used for subscription purpose are safe with us and we do not share the data with the third party. All the products are purchased by me and the reviews are based on my personal experience. Most of the time, brands do send their products but the reviews are 100% honest, authentic and are not influenced by the brand. Please note that a certain product which suits my skin type may not suit you. Hence kindly read the product label, instruction before you make a purchase. The blog owner will not be held responsible for your any damage/loss. Posts that may contain affiliate links or are sponsored would be duly marked. We reserve the right to modify this Disclaimer at any time, effective upon posting of an updated version of this Disclaimer on the Website. When we do we will revise the updated date at the bottom of this page. Continued use of the Website after any such changes shall constitute your consent to such changes. You acknowledge that you have read this Disclaimer and agree to all its terms and conditions. By accessing the Website you agree to be bound by this Disclaimer. If you do not agree to abide by the terms of this Disclaimer, you are not authorized to use or access the Website.